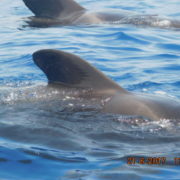 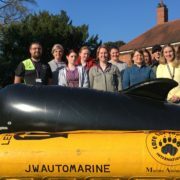 https://www.reaseheath.ac.uk/wp-content/uploads/2019/04/Animal-science-undergraduates-enjoy-their-‘Marine-Mammal-Medic’-course.jpg 3024 4032 Sophie Tatton https://www.reaseheath.ac.uk/wp-content/uploads/2016/03/reaseheath-logo-web-header.png Sophie Tatton2019-04-09 15:44:262019-04-09 15:44:26Marine mammal emergency averted! 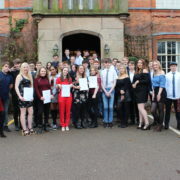 Thirteen students from Reaseheath College have been given a ‘student of the term’ award for their hard work and achievements. 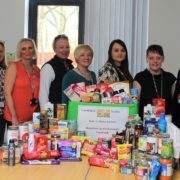 Foundation studies lecturers have donated hundreds of items to Nantwich Foodbank. 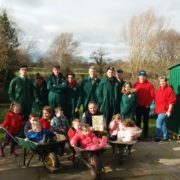 Our agriculture students have earned a massive ‘thank you’ from local youngsters after helping to transform a play area at a pre-school nursery. 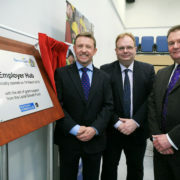 Rail maintenance specialist A P Webb Plant Hire has quadrupled its intake of apprentice rail plant engineer-operators thanks to a tailormade programme and recruitment support from Reaseheath Training. 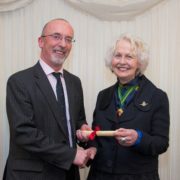 Trailblazer Lucy Rowlinson has set the bar impressively high for the newly restructured butchery apprenticeship by achieving the top grade. 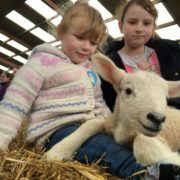 Hundreds of local families flocked to Reaseheath College, Nantwich, over the weekend to welcome the first lambs of the season. 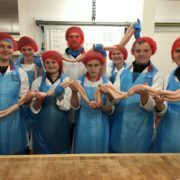 Our butchery apprentices have been practising sausage making as part of their college based activities during National Apprenticeship Week. 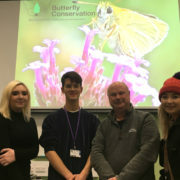 Our Foundation students have been developing their employability skills by volunteering on a community project with Cheshire Wildlife Trust (CWT). 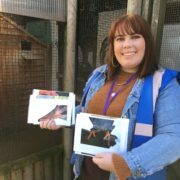 Animal Management students Laura Ashley and Louise Skipsey have been crowned Autumn term winners of Reaseheath’s Attendance Award Scheme. 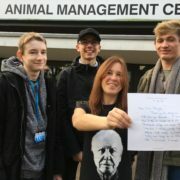 Animal Management students inspired by Sir David Attenborough have received a hand written letter from the great naturalist himself. 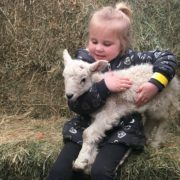 Hundreds of local families are expected to flock to Reaseheath College, Nantwich, during the first two weekends of March to welcome the first lambs of the season. 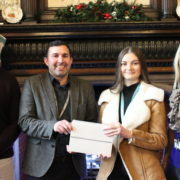 The contribution that Reaseheath College apprentices make to businesses in Shropshire and surrounding counties has been recognised at an awards ceremony. 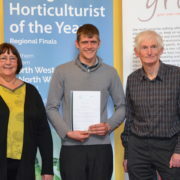 Among the top award winners was Best Horticulture Apprentice Richard Peate, an assistant greenkeeper at Oswestry Golf Club. 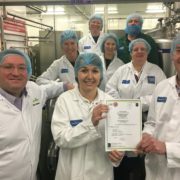 Reaseheath College’s Food Centre in Cheshire has proved it continues to operate at the highest industry standards by becoming the first educational institution in the world to achieve Grade AA certification for food safety from the British Retail Consortium (BRC). 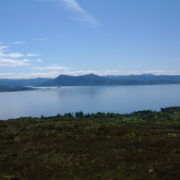 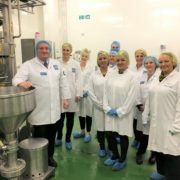 This is the highest possible benchmark for best practice in food manufacture. 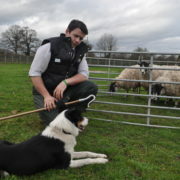 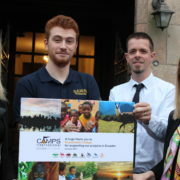 A trainee shepherd has carried off top honours at an awards ceremony for apprentices at Reaseheath College, Cheshire. 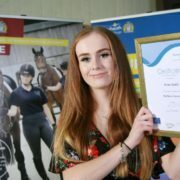 Equine apprentices were among the ‘stars’ to take top honours at an awards ceremony held at Reaseheath College in Cheshire. 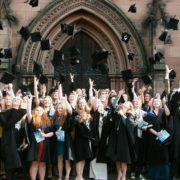 Today maths and English term stars were recognised for their achievements. 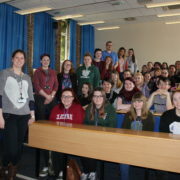 A total of 22 students received an amazon voucher presented to them by their teacher who proudly announced why they were chosen. 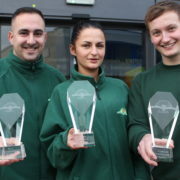 The contribution that Reaseheath College apprentices make to regional businesses has been recognised at an awards ceremony. 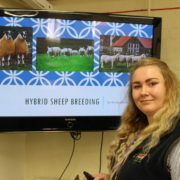 ‘Seek out all opportunities, use all connections, gain as much experience as possible and strengthen your business acumen.’ This was the key advice given to Reaseheath College, Cheshire, agriculture students at a ‘Question Time’ discussion on post Brexit careers in farming and food production. 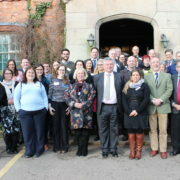 A unique business development event held at Reaseheath University Centre celebrated the region’s quality food products and explored commercial opportunities to boost customer demand. 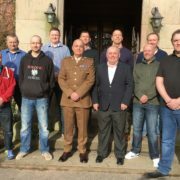 The twelfth cohort of military veterans has graduated from our groundbreaking property maintenance course, which is now well into its second year. 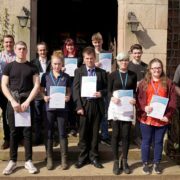 The next generation of highly skilled Construction Plant Maintenance apprentices received their final awards at a presentation on campus. 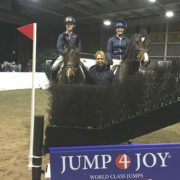 Our student arena party has once again provided a superb service to the Horse of the Year Show (HOYS), the world’s most famous horse show. 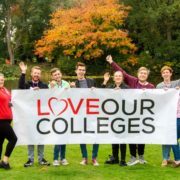 The significant and growing contribution which Cheshire’s colleges make to the lives of the region’s communities, its industries and to the national economy have been highlighted during Colleges Week (15 – 19 October), a countrywide celebration of Further Education. 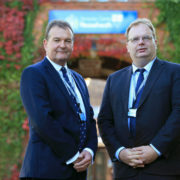 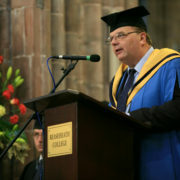 Reaseheath College and University Centre in Nantwich, Cheshire, has a new Principal and a new Chair of Governors. 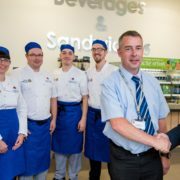 Our catering team are sporting smart new chefs’ white jackets, thanks to a sponsorship from long established partners Harlech Food Service. 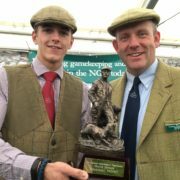 Reaseheath College’s Connah Baker has been recognised as the top gamekeeping student in the country. 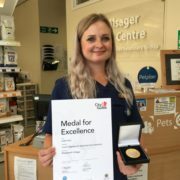 A Reaseheath College trained Veterinary Care Assistant has been awarded a prestigious City & Guilds Medal for Excellence for her outstanding portfolio and highly developed skills. 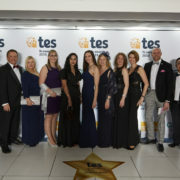 Our college stand took the Runner Up award in the professional trade stand category, thanks to our diverse ‘hands on’ activities, friendly staff and efforts to engage with and educate the public. 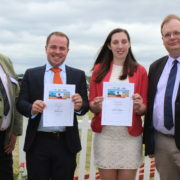 Two ambitious young agriculturists are looking forward to global travel thanks to a scholarship run by Reaseheath College in Nantwich and the Cheshire Agricultural Society. 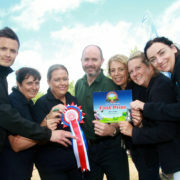 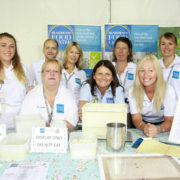 Reaseheath students help RHS Tatton celebrate its big birthday! 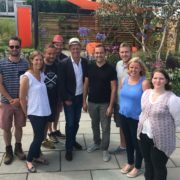 Horticulture and floristry students from award winning Reaseheath College are helping the RHS Flower Show Tatton Park (Wednesday July 18 – Sunday July 22) to celebrate its 20th birthday with two entries highlighting modern trends in garden and home. 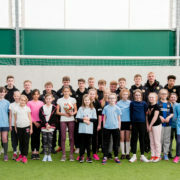 https://www.reaseheath.ac.uk/wp-content/uploads/2018/07/Silver-Nathan-Webster-Jake-Jackson-Craig-Bailey.jpg 3024 4032 Sophie Tatton https://www.reaseheath.ac.uk/wp-content/uploads/2016/03/reaseheath-logo-web-header.png Sophie Tatton2018-07-19 14:41:552018-07-20 08:34:48Reaseheath students help RHS Tatton celebrate its big birthday! 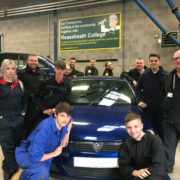 One of the country’s most successful specialist colleges, Reaseheath College in Nantwich continues to notch up record student enrolments and achievements. 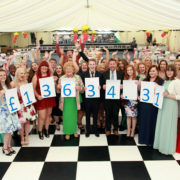 Caring students and staff from Reaseheath College in Nantwich have raised a record breaking £24,000 for local charities this year. 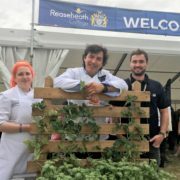 Reaseheath College celebrated its greatest victory at the Royal Cheshire Show this week when its action packed stand was awarded the Overall Championship in the Trade Stand section. 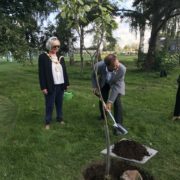 Reaseheath College in Cheshire has secured a £15 million funding facility from the education division at Santander Corporate and Commercial to continue its programme of expansion. 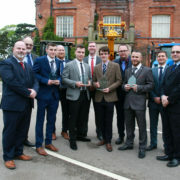 Reaseheath construction students built on their skills to impress judges at a competition to find the nation’s most talented young tradespeople. 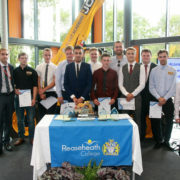 Forty-five block release agricultural engineering technicians were joined by their employers at a celebration to mark the completion of their apprenticeships at Reaseheath College. 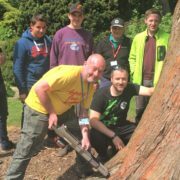 Cutting edge technology which detects decay in trees was explained and demonstrated at the seminar at Reaseheath College last week. 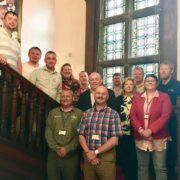 The ninth cohort of military veterans has graduated from our pioneering property maintenance course, which is going from strength to strength in its second year. 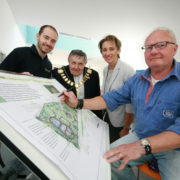 Plans to turn unloved scrubland into an oasis for Nantwich families to enjoy have been drawn up by undergraduates at University Centre Reaseheath. 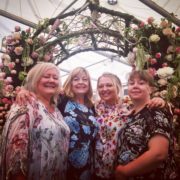 Talented floristry students from University Centre Reaseheath in Nantwich have continued to prove they are among the nation’s best by taking a bronze medal in the finals of the RHS Chelsea Future Florists with a display inspired by the Royal wedding. 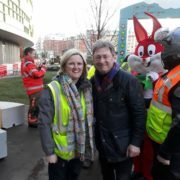 Reaseheath horticulture students have joined much loved tv presenter Alan Titchmarsh in a mission to create a new garden at the Royal Manchester Children’s Hospital. 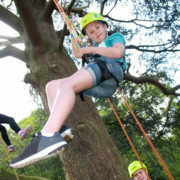 Over 10,000 visitors thronged to Reaseheath College’s Family Festival on Sunday, making the event the best and biggest since its launch 22 years ago. 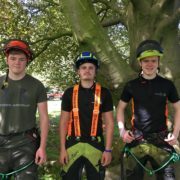 Level 3 Diploma in Forestry and Arboriculture students reached new heights at the 3ATC Northern College Climbing Competition. 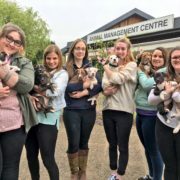 Nine adorable rescued puppies have received the best start in life thanks to students at Reaseheath College in Nantwich. 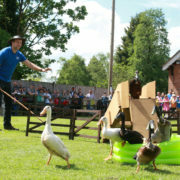 Reaseheath College’s Family Festival is yet again gearing up to be one of the best value days out in Cheshire. 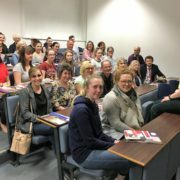 First year Animal Behaviour and Welfare undergraduates gained an informed insight into the industry they are about to enter thanks to our annual Animal Welfare Conference. 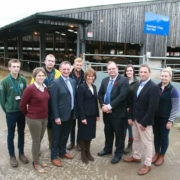 Reaseheath College laid host to the UK’s first training course for the latest robotic milking machine created by leading manufacturer Lely. 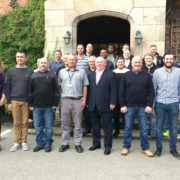 The eighth cohort of military veterans has graduated from our groundbreaking property maintenance course, which is just entering its second year. 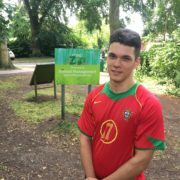 BSc in Landscape Architecture undergraduate Jake Jackson has been awarded a Student Scholarship by the David Colegrave Foundation. 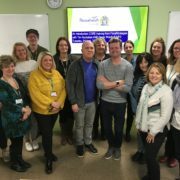 Beaumont Richards and Brandon Whitehead have been crowned Reaseheath College Maths and English department’s stars of the term. 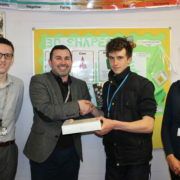 Both Beaumont and Brandon were nominated for demonstrating excellent effort in Maths and English and maintaining 100% attendance. 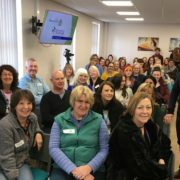 On Monday 23 April, women in Cheshire are being offered £5 off entry fees for Race for Life 5k, 10k, Pretty Muddy, Half Marathon and Hike events using the code MARA2018. 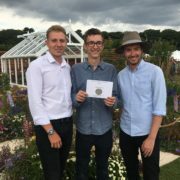 A student horticultural team has galloped away with a bronze medal at the ‘Young Gardeners of the Year 2018’ competition at the Ascot Spring Garden Show. 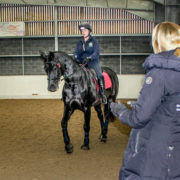 Our Level 3 Extended Diploma in Equine Management students have been getting first-hand experience of organising equine events as part of their events management module. 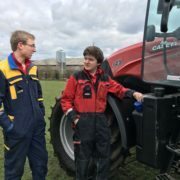 Engineering and agricultural students had the chance to try out some of the latest technology from Case IH when the company’s Red Power Tour came to the college farm last week. 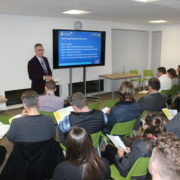 Around 60 local employers learned about the benefits of apprenticeship programmes offered through Reaseheath Training during focused events held during National Apprenticeships Week. 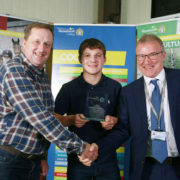 Reaseheath agricultural students have come top of the class for the second time in a regional challenge which proves they understand best environmental practice. 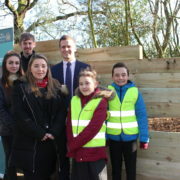 Pupils at a local primary school are learning about the Great Outdoors, thanks to a partnership between their school and our conservation students. 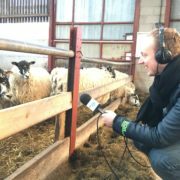 Agriculture staff and students from Reaseheath have discussed the impact of Brexit on the food and farming industry on BBC Radio 5 Live’s flagship financial series ‘Wake up to Money’. 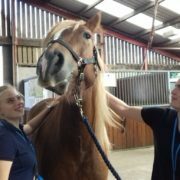 Our Level 3 equine management students have been running some amazing events as part of their events management module. 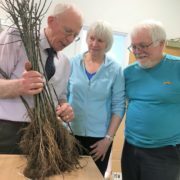 Horticultural experts from Reaseheath College are helping to bring a rare Cheshire apple tree back from the brink of extinction by grafting saplings for a community orchard. 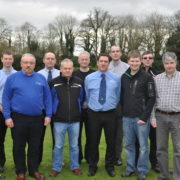 The seventh cohort of military veterans has graduated from our groundbreaking property maintenance course. 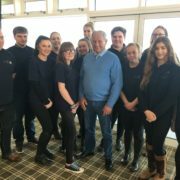 Reaseheath equine students had the privilege of meeting legendary jockey Bob Champion MBE during filming for BBC’s The One Show. 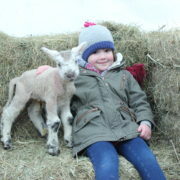 Undeterred by wintry weather, hundreds of local families flocked to Reaseheath College, Nantwich, over the weekend to welcome newly born lambs into the world. 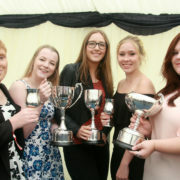 Our talented floristry students have continued to prove they are among the nation’s best by qualifying for the RHS Chelsea Future Florist for the fourth consecutive year. 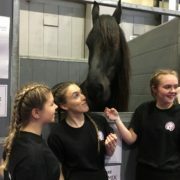 Reaseheath College students have been getting hands-on experience of running high profile equine events as part of their course at the college’s Equestrian Centre in Cheshire. 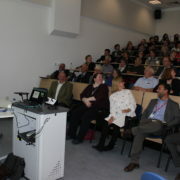 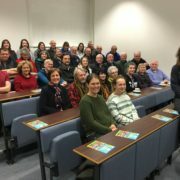 Plans to involve the local community in caring for Nantwich’s watercourses were described at a public lecture at Reaseheath College on Thursday 15th February. 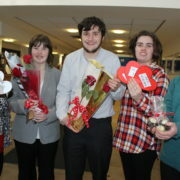 Love was definitely in the air at Reaseheath on Valentine’s Day thanks to Entry and Foundation students on our Career Development Pathway and Bespoke Programme. 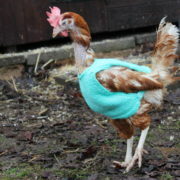 Rescued hens are staying snug this winter thanks to woolly jumpers knitted for them by warm hearted Reaseheath students. 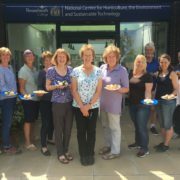 Reaseheath College’s Food Centre in Cheshire has proved it continues to operate at the highest industry standards by achieving a globally recognised Grade A (Issue 7) certification for food safety from the British Retail Consortium. 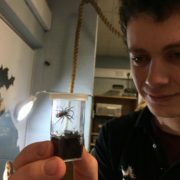 Reaseheath’s Zoo is helping to conserve one of the world’s rarest spiders. 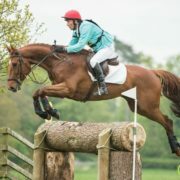 Reaseheath Equestrian Centre is delighted to offer riders the chance to train with International event rider David Gatherer later this month (February). 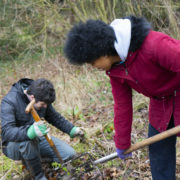 Forty of our public services students have achieved National Citizen Service (NCS) awards after running community projects which raised over £700. 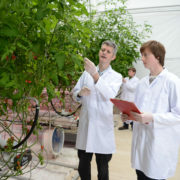 Reaseheath College is helping to champion the rising agri-tech sector through active involvement with Agri-Tech West (ATW), an alliance of businesses, public sector and industry organisations and educational institutions. 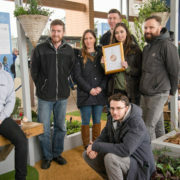 A student team from Reaseheath College, Nantwich, will contest the ‘Young Gardeners of the Year’ competition at the new Ascot Spring Garden Show in April. 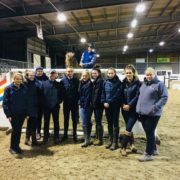 Reaseheath College’s equine students have given a warm welcome to new Yard Manager Paul Stenson, who has joined the expert team of staff at our Equestrian Centre. 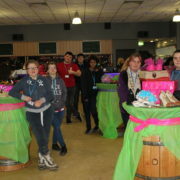 Reaseheath students finished the term in style with a festive “Winter Wonderland” Christmas Ball at the college’s Nantwich campus. 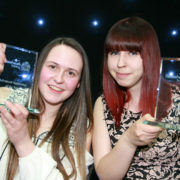 Amber Hayes and Luke Ikin have been crowned Reaseheath College Maths and English department’s stars of the term. 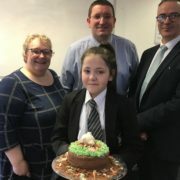 Both Amber and Luke were nominated for demonstrating excellent effort in Maths and English and maintaining 100% attendance. 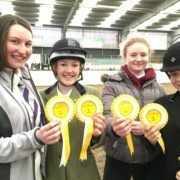 A head girl at a dressage and livery yard and a dairy herd manager took the top titles at a Reaseheath College awards ceremony which turned the spotlight on apprenticeships. 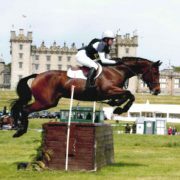 Our equine staff are continuing to consolidate their knowledge of equitation science. 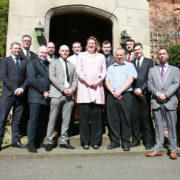 Our recently graduated military veterans continue to celebrate the launch of their new careers with an appearance on ITV Granada news. 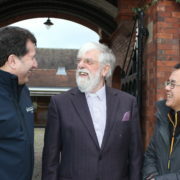 The Associate Minister at St Mary’s Church, Nantwich, the Reverend Dr Bernard Moss, was introduced to the Reaseheath Experience when he visited campus last week. 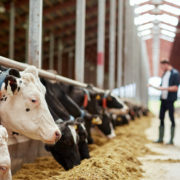 Turn technology to your advantage, study the market and do what you do really well. 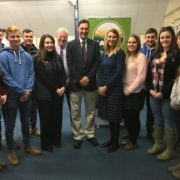 This was the key advice given to Reaseheath agriculture students at a ‘question time’ discussion on careers in farming and food production. 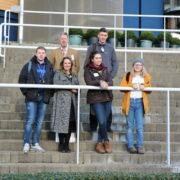 FE agriculture students gained an insight into the world of Higher Education from their peers in an innovative progression event being trialed for the first time in college. 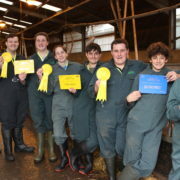 Local school children who are studying agriculture at Reaseheath have selected pigs which went on to take top prizes at a premier livestock show. 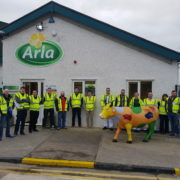 Multi-national engineers and technical operators from global processing and food packaging specialist Tetra Pak have been enjoying a bespoke training course in our industry standard dairy processing halls. 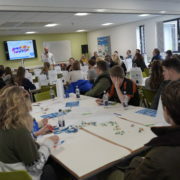 Ways in which our undergraduates could work with regional businesses to the benefit of both were examined at a promotional event held on campus. 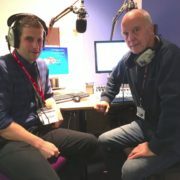 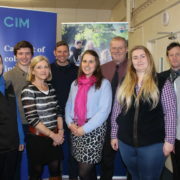 Innovative technology and its use in farming and food production made for a lively conversation between Programme Leader and HE Course Manager in Agriculture Mark Biddulph and presenter Des Machin on our local community radio station ‘The Cat’. 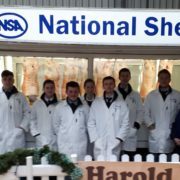 Reaseheath’s stock judging teams have continued their run of success in the College Challenge at the East of England Winter Stock Festival, Peterborough. 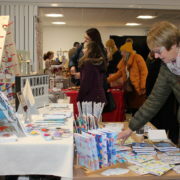 Over 2,000 shoppers poured into Reaseheath College in Nantwich on Saturday, eager to buy original gifts made by local designers and craftspeople. 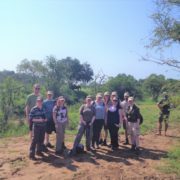 Our animal management students have been praised for making a difference to the lives of remote communities in Ecuador during a study trip last summer. 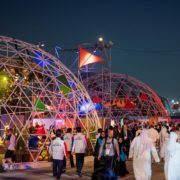 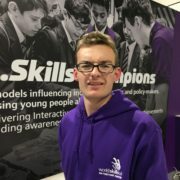 Greg Houghton, Curriculum Area Manager for Adventure Sports, Sport and Public Services, has used his expertise in sports performance and psychology to help steer Team UK to victory in the global WorldSkills finals in Abu Dhabi. 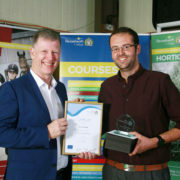 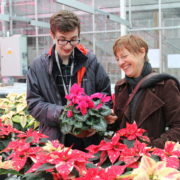 Horticulture Course Manager Steve Williams has been honoured as a ‘Local Hero’ by WorldSkills UK for the valuable work he does to promote the benefits of the organisation’s competitions and training programmes. 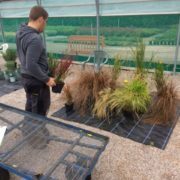 Two landscapers flew the flag for Reaseheath at the national finals of WorldSkills UK, held at The Skills Show, NEC Birmingham, last week. 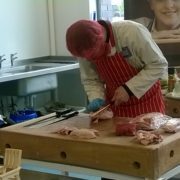 Four of our talented butchery apprentices showed off their skills and creative flair when competing at the WorldSkills UK butchery qualifying round. 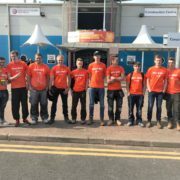 Ten of our talented bricklayers, joiners, carpenters and plasterers represented Reaseheath at the Skillbuild 2017 regional heat at the South and City College, Birmingham. 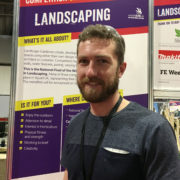 Former Level 3 Extended Diploma in Horticulture student and national competitor Richard Carden played a valuable role at The Skills Show representing WorldSkills UK as a technical and professional skills ambassador. 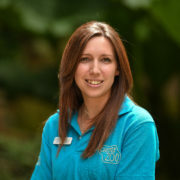 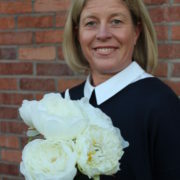 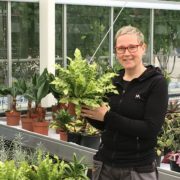 A former Reaseheath floristry student is to take up an exciting challenge in the Bahamas. 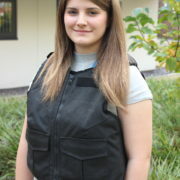 Leading global retailer SafeGuard Clothing has made a second donation of protective clothing to our Public Services department, enabling us to further enhance the learning experience of our students. 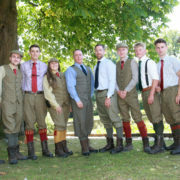 Our Game Management students are trialling a range of all weather gear from Ridgeline Clothing, a leading supplier of fit-for-purpose clothing for outdoor professionals. 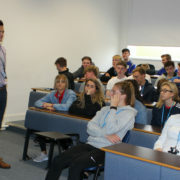 Forty sports diploma students have been considering where a degree might take them following a Higher Education careers presentation. 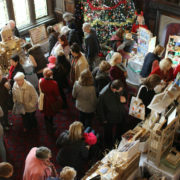 Shoppers have the chance to buy original gifts from local craftspeople at a Christmas Artisan Market being held at Reaseheath College, Nantwich, on Saturday December 2. 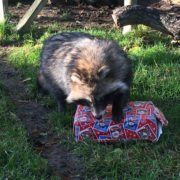 The college’s mini zoo, complete with Father Christmas, is also open for the weekend, giving families the opportunity to enjoy two festive events. 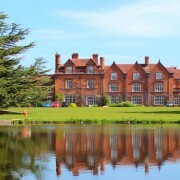 Reaseheath College has been rated ‘Outstanding’ for the overall experiences and progress of its students by Ofsted in a report released this week. 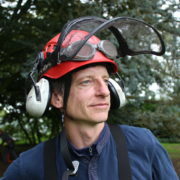 Reaseheath arboriculture trainer and NPTC assessor Jono Finlow has been helping in the recovery of the Caribbean island of Dominica following its devastation by hurricanes. 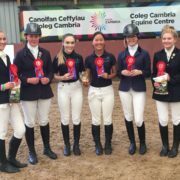 Reaseheath College in Cheshire has become one of the earliest colleges to adopt equitation science into its teaching programmes. 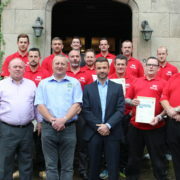 Our fifth cohort of military veterans have graduated from a groundbreaking property maintenance course which will give them the skills to launch a new career. 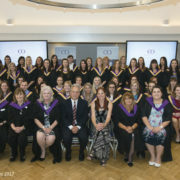 Our specialist Centre of Veterinary Nursing has celebrated a significant milestone with the graduation of its first cohort of veterinary nurses. 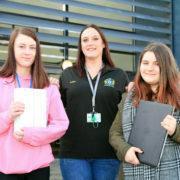 Motor vehicle students have had the privilege of meeting rally driver Jade Paveley, who vroomed onto campus with her Mitsubishi Evo 3 during the run-up to Dayinsure Wales Rally GB (October 26 – 29). 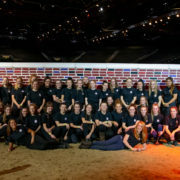 Our student arena party has once again provided a stellar service to the Horse of the Year Show (HOYS), the world’s most famous horse show. 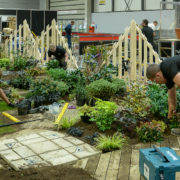 Two future stars of the landscape industry will be flying the flag for Reaseheath at the national finals of WorldSkills UK, to be held at The Skills Show, NEC Birmingham, in November. 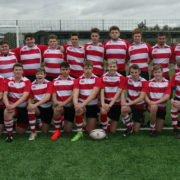 Reaseheath College have been selected to receive funding by the RFU to develop, support and increase their rugby offering. 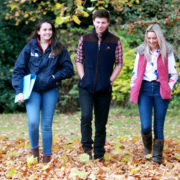 Every year, Reaseheath welcomes French exchange students from Mâcon College in Southern Burgundy as part of our long-standing relationship with this land-based college. 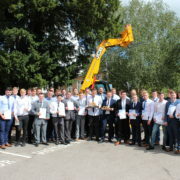 The next generation of highly skilled Construction Plant Maintenance engineers have received their final awards at a presentation on campus. 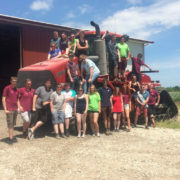 A group of Level 3 students from our Extended Diploma in Agriculture course were lucky enough to travel to Iowa to further their knowledge of large-scale production methods and to sample the American way of life. 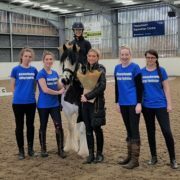 Burrows Lane Educational Equestrian Centre has announced its partnership with Reaseheath College, one of the UK’s leading specialist land-based colleges. 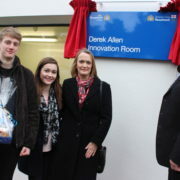 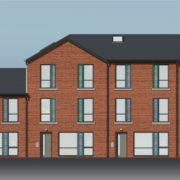 Construction work is underway to build new accommodation for Reaseheath students. 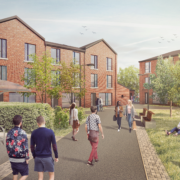 Work has begun on the 200 bed halls of residence, which will deliver five blocks of six, eight and 10-bedroom townhouses at the centre of the Nantwich campus. 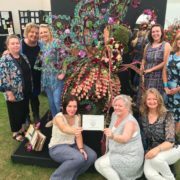 A sassie fantasy bug called ‘Lola the Showgirl’, made by our talented floristry students, took centre stage at this year’s RHS Tatton Park Future Florists competition. 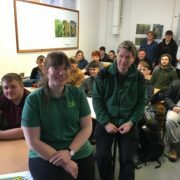 Royal Horticultural Society (RHS) students were feeling chipper after taking part in Reaseheath’s First Early Potato Show, held in our Centre for Horticulture, the Environment and Sustainable Technology. 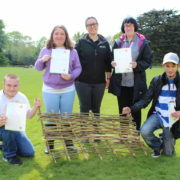 Reaseheath undergraduates pooled their talents to design and build a show garden for a special educational needs school which wowed visitors at the RHS Flower Show Tatton Park (July 19 – 23). 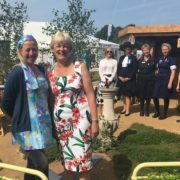 A show garden built by Reaseheath trained garden designers in support of a charity appeal for Leighton Hospital, Crewe, has won a silver gilt medal at the RHS Flower Show Tatton Park (July 19 – 23). 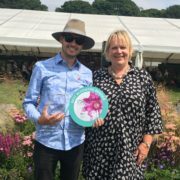 Reaseheath College lecturer Craig Bailey achieved a coveted gold medal and the title of ‘Best Blooming Border’ when he exhibited as a designer in his own right at RHS Flower Show Tatton Park (July 19 – 23). 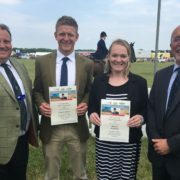 Two ambitious young agriculturists are looking forward to global travel thanks to a scholarship run by Reaseheath College and the Cheshire Agricultural Society. 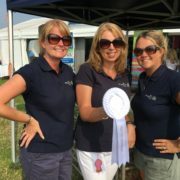 Reaseheath enjoyed sizzling success in the sunshine at this week’s Royal Cheshire Show, with a ‘Highly Commended’ award for the college’s eye catching trade stand and a fistful of rosettes for agriculture students in the showring. 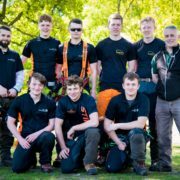 Five young landscapers began their WorldSkills UK journey at a college heat held on campus. 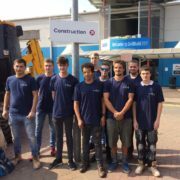 Level 3 Diploma students Joshua Slater, Tom Cartledge, Kelvin White, Liisi Selmet and Gemma Price demonstrated their technical skills in block paving, decking construction and plant knowledge. 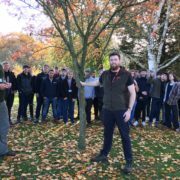 Level 3 Diploma in Forestry and Arboriculture students reached new heights at the Arboricultural Association’s (AA) College Climbing Competition, held for the northern region on our campus recently. 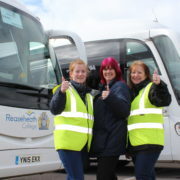 Over 12,000 people from across the region poured into Nantwich on Sunday to enjoy the carnival atmosphere of Reaseheath College’s Family Festival. 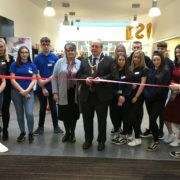 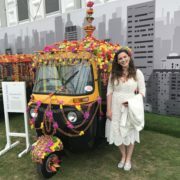 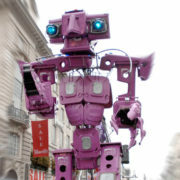 The action-packed festival, which offered hundreds of activities and displays to appeal to all ages, attracted our largest ever crowd to date and caused a storm of appreciation on social media. 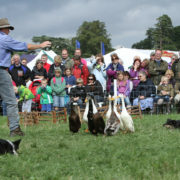 Reaseheath College’s Family Festival is gearing up to pull in thousands of visitors. 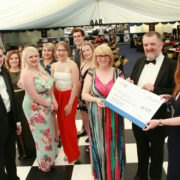 The action-packed festival, on the college’s Nantwich campus on Sunday May 14, will feature an array of performances an entertainment. 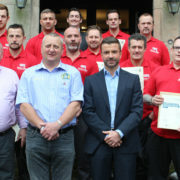 Eleven military veterans have graduated from a groundbreaking property maintenance course which will give them the skills to launch a new career. 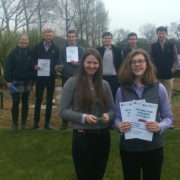 Reaseheath agricultural students came top of the class in a regional challenge which proved they understand best environmental practice. 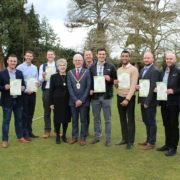 The first specialist technicians to achieve a new Parlour Safe Category 3 Accreditation for the milking equipment industry have graduated from Reaseheath College. 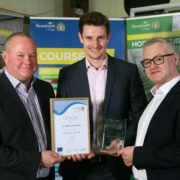 Professionals from five of the UK’s leading manufacturers, DeLaval, Fullwood, GEA UK, Lely and BouMatic, received their awards from the Cheshire college, which at present is the only training provider to deliver the bespoke advanced course. 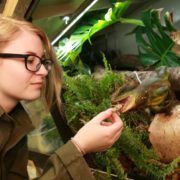 The special requirements of captive exotic animals will come under the spotlight at a welfare seminar at Reaseheath College, Nantwich, on Sunday April 30. 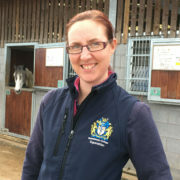 A talented instructor at our Equestrian Centre has been awarded a British Horse Society (BHS) training bursary to further her career. 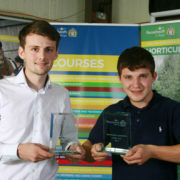 Reaseheath students have proved they are top of their tree by taking top places in the prestigious Chartered Institute of Horticulture’s ‘Young Horticulturalist of the Year’ competition. 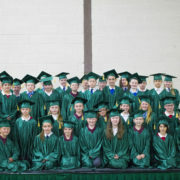 Forty pupils from Crewe and Nantwich primary schools have had a taste of what it is like to graduate by attending an amazing graduation ceremony at Reaseheath College in Nantwich. 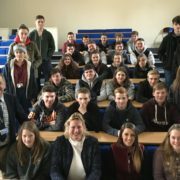 Reaseheath College’s next generation of farmers have been urged to speak out about their concerns going into Brexit by local MP Antoinette Sandbach. 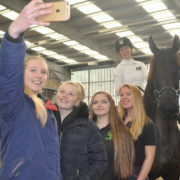 Reaseheath College horse care apprentices were introduced to three very different equine activities during a day which celebrated National Apprenticeships Week (March 6 – 10). 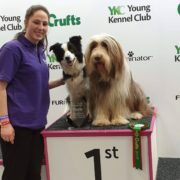 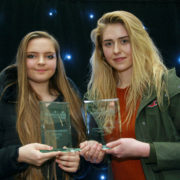 A dog trainer and the manager of an animal feeds shop took the top titles at a Reaseheath College awards ceremony which turned the spotlight on apprenticeships and traineeships. 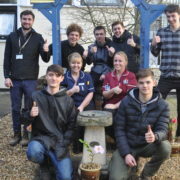 Horticulture apprentices from Reaseheath College, Nantwich, have renovated a garden for patients at Leighton Hospital as their contribution to National Apprenticeship Week (March 6 – 10). 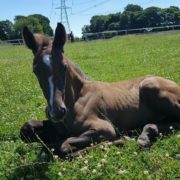 Undeterred by wintry weather, hundreds of visitors filled the college’s lambing sheds to meet the newborns and many were lucky enough to experience a live birth. 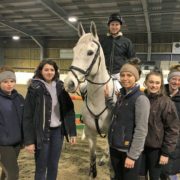 International event rider Michael Owen gave top tips on how best to prepare for the coming eventing season during an informative training demonstration at Reaseheath Equestrian Centre. 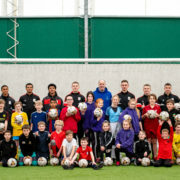 Sporty pupils from Millfields Primary School in Nantwich gained top tips from the future stars of Crewe Alexandra FC at a football tournament at Reaseheath College. 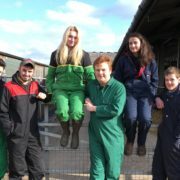 Reaseheath agriculture students are to star in this Friday’s episode (March 3rd) of the Farmers’ Country Showdown, a new daytime TV series celebrating inspirational farming families and the rural events where they showcase their hard work. 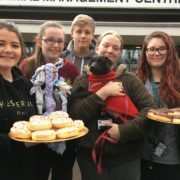 Reaseheath College animal management students have joined forces to help a young abandoned dog in desperate need of veterinary care. 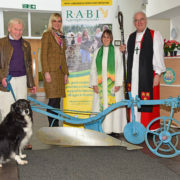 Tilly the cross bred terrier is being fostered by Reaseheath lecturer Emma Caskie while she waits for two life changing operations to ease painful knee joints. 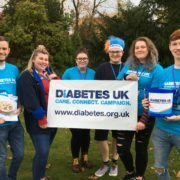 As soon as Emma launched a fundraising page via FundRazr to help pay for the operations, the students were quick to offer their help. 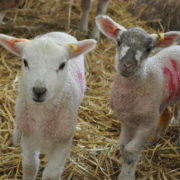 Hundreds of local families will be flocking to Reaseheath College, Nantwich, during the first two weekends of March to welcome the first lambs of the season.